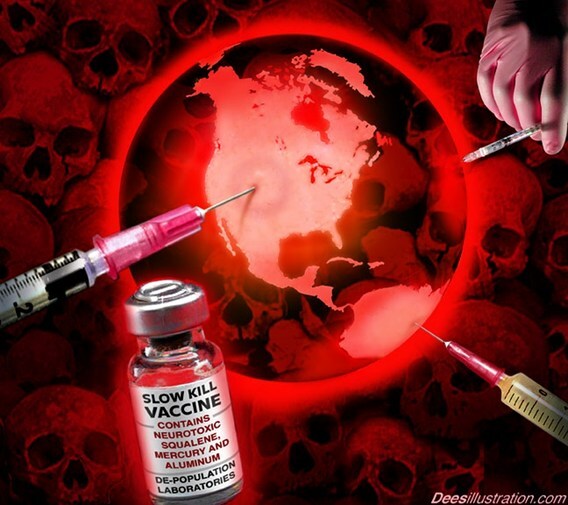 Knowledgeable parents of vaccine-age children correctly fear the rapidly increasing numbers of mandated vaccines all of which have many toxic ingredients in them that are being injected into the bodies of their immune-deficient infants. 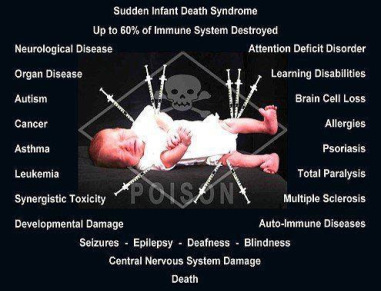 And the vaccine doses do not vary no matter what is the infant’s age, weight, developmental status, immune status, mitochondrial status, nutritional status, or whether or not the child is currently sick. In the last few decades since the “mysterious” autism epidemic began in the late 1980s, the giant pharmaceutical companies, free from the constraints of medico-legal liability, began pumping out more and more highly profitable vaccines, and their lobbyists in D.C., their well-paid spokespersons and the industry-co-opted “regulatory agencies” (like WHO, the CDC, the FDA and NIH) rejoiced. Then, in 1996, the Big Pharma corporate machine and lobbyists got the US Congress to do its bidding and legalize direct-to-consumer advertising for its products, which up to then was illegal. And Big Pharma has also been bribing most US Congresspersons with lavish campaign donations and totally dominated the mainstream media debates that come up from time to time concerning drug and vaccine injuries, intoxication, sickness and death.. Up until now they have also succeeded in silencing the thousands of anguished parents of vaccine-injured children who are just trying to tell their tragic stories. At least partly because of the dire financial consequences that these industries may have to face if the stories were to be widely told, these parents and their advocates have been essentially black-balled by every media outlet that takes advertising dollars from Big Pharma. The black-listing is probably welcome to everybody associated with Big Pharma’s industries, like Wall Street executives, Big Media executives and others in the investor classes that may have pharmaceutical stocks in their portfolios (or are simply on friendly terms with medical or pharmaceutical establishment types that don’t want to destabilize the gravy train). Tens of thousands of angry and increasingly vocal “Mama Bear” mothers, are no longer willing to accept the excuse from their clinics that “the neurological catastrophe that your child suffered after the shots was just a coincidence”. And they are demanding an audience, some compassion, some help and some compensation for their losses.